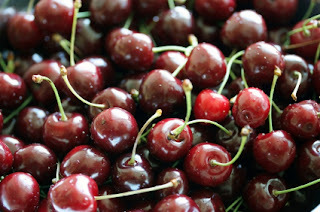 In California, cherries come into season during the month of May. This is the month my favorite local orchard, Machados, opens its doors through November, the season for mandarin oranges. In between we’ll dine on drippy, juicy peaches, white nectarines, mouth-staining blackberries, and before we know it, crisp fall Fuji apples. In honor of cherry season right around the corner, today I placed my first order for our top-selling Cherry Iced Tea! It will be available within one week, so stay tuned! 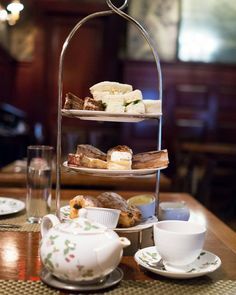 Choosing baked goods that feature the fruit of the season is an excellent addition for any afternoon tea. It transports us to the magical part of our senses that fills our souls with wonderful memories based on what we are smelling and tasting. This is the season of cherry blossoms that will soon turn to sitting on the back porch swing with a colander of freshly washed Bing Cherries with a friend. Even if that isn’t one of your memories, wouldn’t you like it to be? Eating seasonally and locally comes naturally living in California surrounded by agriculture and produce stands at every turn. 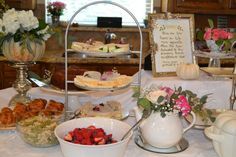 However, anyone who desires to provide a lovely afternoon tea experience benefits from knowing the fruits of the season. Even in the grocery store, they will be the most beautiful and taste-filled option (hopefully! ), not to mention less expensive because they are in season. And don’t forget, seasonal fruit always provide a beautiful garnish that I’m guessing will also be eaten! Enjoy the fruits of the season.